This detector circuit uses the PIR sensor to detect human and animal movements. It is used to study learning work. Can also be applied to a variety of practical applications such as alarm systems and automatic power off and lighting systems. - Power supply : 12VDC. - Detection range : 4-meter. - Control output : contact capacity 1A/250VAC. 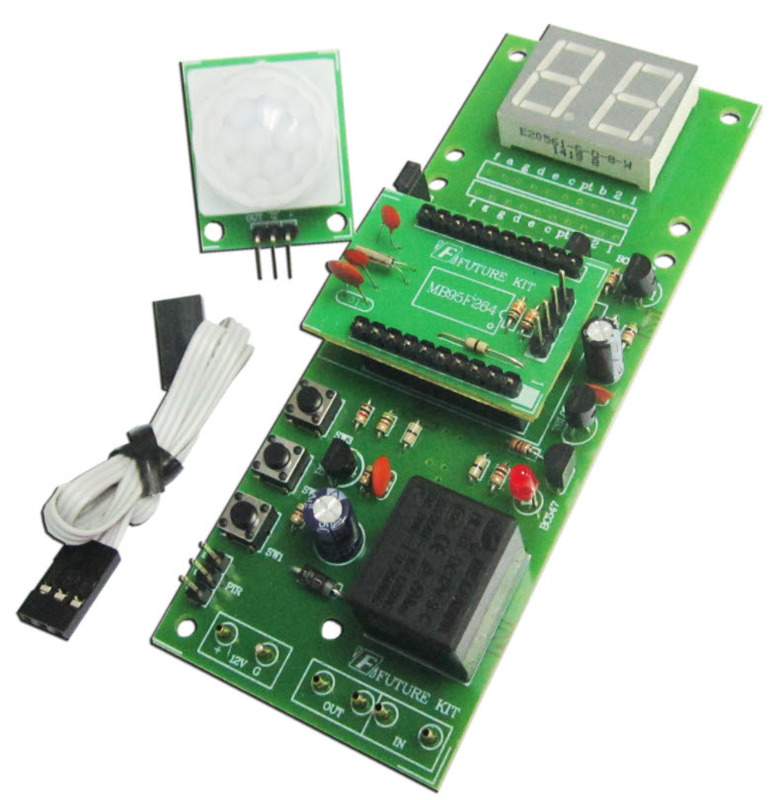 - PCB board dimension (PIR sensor board) : 1.22 in x 1.02 in. - PCB board dimension (control board) : 1.72 in x 4.45 in.